On the leftover nights, I don’t really bother with buying a bottle of wine. (Although one would have gone marvelously with the leftover crab rollatini and lettuces with ume plum and blood orange vinaigrette.) Instead, I mix up a couple of cocktails for Hades and me. And in a lovely turn of events, I wound up with something that I would eagerly serve at any cocktail party. Cheers to seasonal leftovers and winter cocktails. Splash of tonic water, or some champagne, if you’re feeling saucy. And you should. In a cocktail shaker combine the vodka, orange juice and syrup. Shake over ice until very cold. 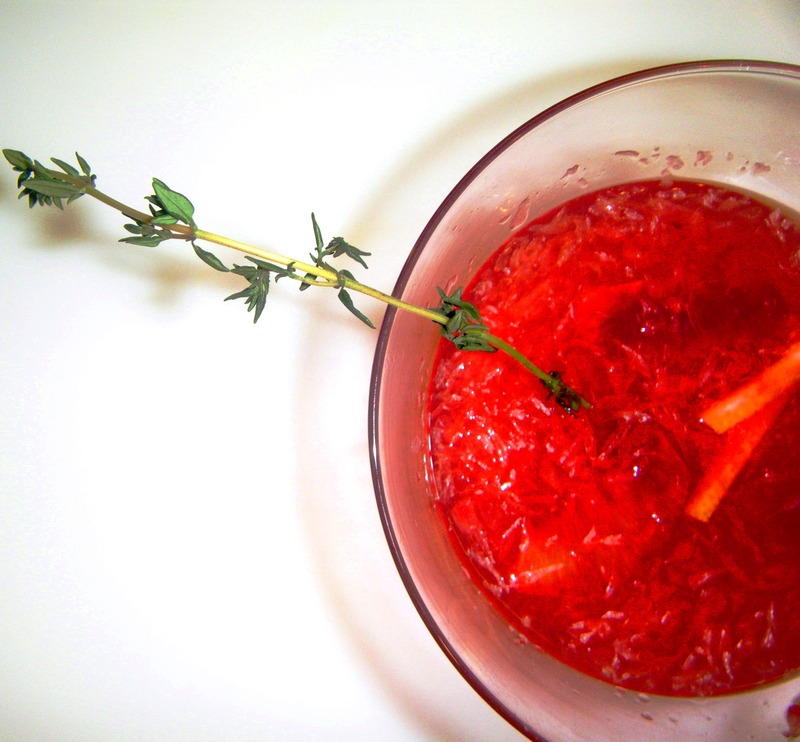 Pour into a martini glass, top with a float of tonic water or champagne, the orange slices and the thyme. Playlist included Nocturne op. 9 no. 2, by Chopin.